In a statement, Tsujihara said it was "clear that my continued leadership could be a distraction and an obstacle to the company’s continued success." 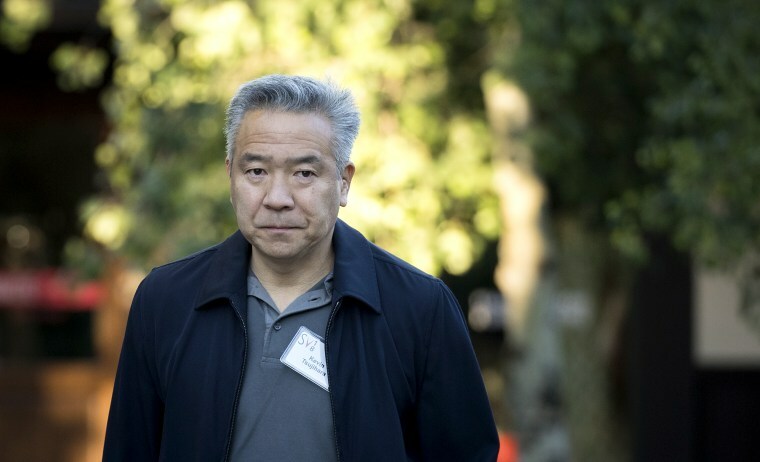 Kevin Tsujihara, Warner Bros. chairman and chief executive officer, has resigned amid an investigation into allegations that he used his position to advance the career of a woman with whom he was accused of having an affair, WarnerMedia announced on Monday. "Kevin acknowledges that his mistakes are inconsistent with the Company’s leadership expectations and could impact the Company’s ability to execute going forward," John Stankey, the head of AT&T's WarnerMedia, said in a press release on Monday. WarnerMedia owns Warner Bros.
Tsujihara's ouster comes two weeks after The Hollywood Reporter revealed text messages in which the Warner Bros. chief promised to push for auditions for actress Charlotte Kirk, with whom he was allegedly having a sexual relationship. Kirk, in an interview with entertainment news website Deadline published last week, said that she "may have made some poor choices and I'm sorry for that." Warner Bros. hired an outside law firm to investigate the claims even as Tsujihara's lawyer claimed that he had "no direct role in the hiring of this actress." WarnerMedia has now lost three of its top executives since its sale to AT&T, including John Martin at Turner, Richard Plepler at HBO, who were not accused of any impropriety. Jeff Bewkes, the former head of Time Warner, left immediately after the sale and was also not accused of any wrongdoing. Warner Bros. is a film, television and video game production company that is one of the major Hollywood studios.